Have you been considering adopting more Agile testing practices to boost QA team efficiency and lower administration and test case maintenance costs, but are unable to do so with your current test management solution from Micro Focus? 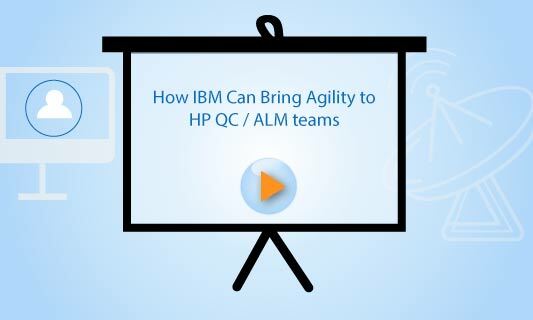 Please join us to understand how this can be accomplished with next generation solutions like IBM Rational Quality Manager (RQM) and see a demo of how other companies have made this move with no loss of data and zero down-time. Christophe Telep has over twenty years experience in the software industry ranging from design, development, project management to testing both in the IT and the embedded systems domains. He has also over ten years experience at IBM as a product manager in the test & quality management segment, successfully launching several innovative test automation tools on the market. Christophe is now the worldwide product manager for IBM Rational Quality Manager software and the support for the Lean and Agile methodologies in the IBM Rational Collaborative Lifecycle Management solution. Amit Dasgupta brings with him expertise in DevOps, Big Data, Tools Integration & Migration, Application Lifecycle Management (ALM), Agile Implementation using both Scrum and Lean, SDLC and PPM domains spanning over 18 years. Currently, he strategizes on the growth, market direction, and customer engagements for Kovair’s exclusive range of ALM Integration products. Until his recent assignment he has held the responsibility of defining new products and marketing plans for them. Amit is also a Certified Scrum Master. Abantika Chatterjee is a Software Engineer. Understanding customers’ pain points, coordinating with associated key stakeholders and configuring appropriate solutions are her major responsibilities. She provides consultation and hands-on assistance to prospects and customers in data migration projects.